Jeans for genes day. How to help! Ever heard of Jeans for Genes Day? Well, it is an annual event helping to raise awareness and funds for children who have been diagnosed with a genetic disorder. ‘Genetic disorder’ sounds rare and unusual but there are lots of them. 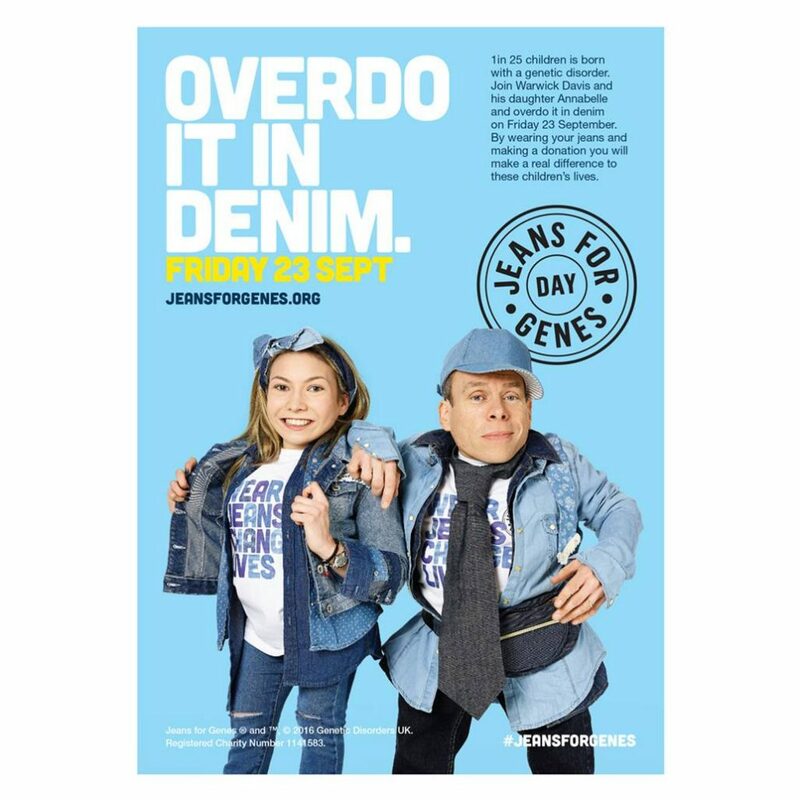 Jeans for Genes Day is happening on 23rd September. 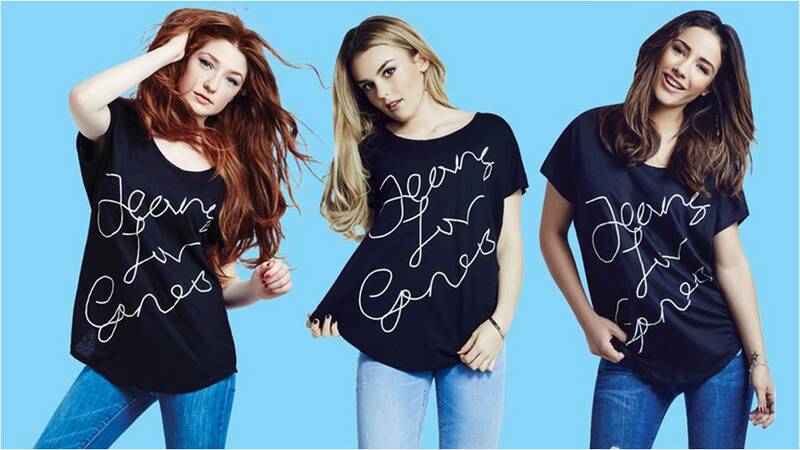 The idea is simple – wear jeans, change lives. Genetic disorders bring out BIG numbers! There are around 4,000 and 6,000 diagnosed genetic disorders. This means 30,000 babies and children are newly diagnosed in the UK each year. We know of some of these disabling conditions like cystic fibrosis, brittle bone disease, sickle cell anemia and Huntington’s but there are lots more. Many have dreadful effects on sight, hearing, and growth and can require specialist care and equipment, none of which comes cheaply. One condition is caused by exposure to ultraviolet light, both natural and artificial. 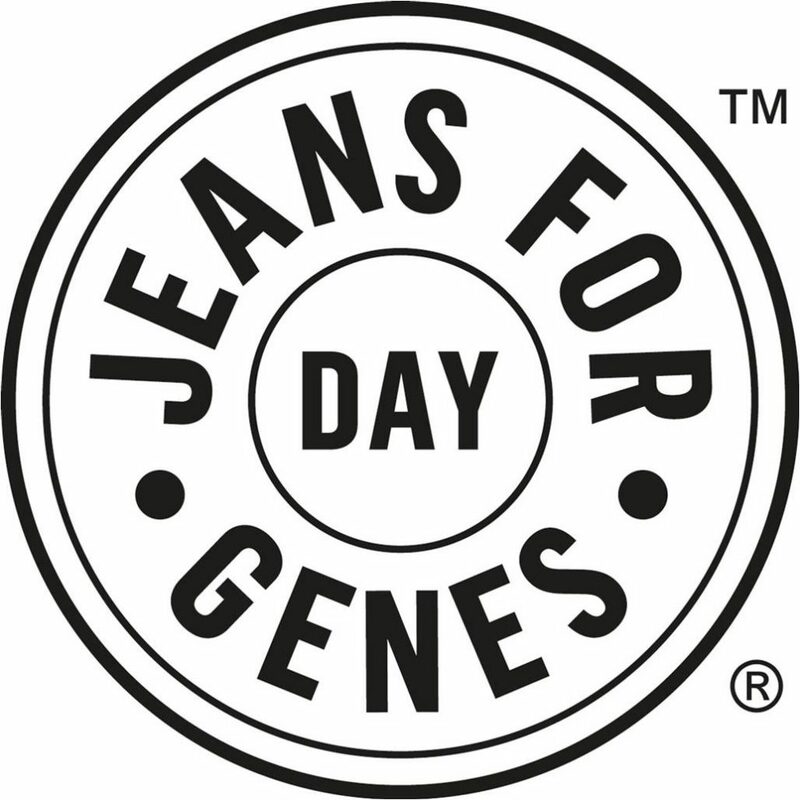 The money raised on Jeans for Genes Day will provide protective hats with visors and gloves for children with XP to ensure that they can safely go outside and do the things other children do, like ride a bike or play on a swing. Working in schools to explain what a genetic disorder is, how it impacts on a child’s life and providing excellent educational resources for teachers to use. They have been divided into the appropriate key stage level. The annual grant programme provides support for many of the individual trusts and support groups set up for the individual disorders. Many of them have very exotic name like Albinism, Tay Sachs, Dravet, Noonan and the fabulous Funny Lumps. Funds also help give some respite to young carers who are looking after an adult with a disorder. Obviously, Jeans for Genes Day is all about raising money. Using the iconic jeans as it’s symbol means that it is likely to be available to most people as everyone has a pair of jeans – yes? But what else? Get a fundraising pack for your school, office, group. This will provide you with all you need including posters, wraps for the buckets, template letters you can send out. If you are a parent, make sure your nursery, school know about it. Often genetic disorders first appear in early childhood and for some the earlier they are identified the sooner treatment can start. Check out the website & get supporting! We have genes for jeans Friday at work every year, we pay to wear then and bake cakes! Brilliant Gilly! I haven’t seen anything about before. Seems a shame as it is easy to support.